I am currently taking part in a MOOC, Assessment and Teaching of 21st Century Skills, by Esther Care and Patrick Griffin at The University of Melbourne. One of the major elements in the course is exploring collaborative problem solving. Consider these comments in a draft report from PISA regarding collaborative problem solving (CPS). PISA will be assessing students’ CPS skills this year. 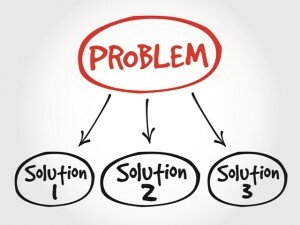 It is the complexity of the problems, where solutions require more knowledge, information, skills, and resources than an individual possesses, that requires the collaborative problem solving process. That complexity is how I describe the increasing outcomes that teachers and schools are being asked to accomplish. 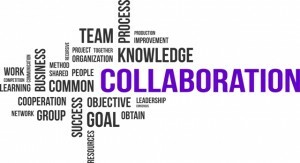 Teachers must work in collaborative problem solving across a staff and outside the school. Ambiguity and Flexibility– Quite often the problems addressed in PLCs as teachers explore gaps in student achievement have no single solution or right answer. Yet there is a need for the team to decide on a direction to take. Plans often require flexibility for changes midstream as new information emerges or resources become available or disappear. Continuous progress with plans can often require teachers to understand the perspective of others and to negotiate. What if…hypothesis– Teams forming and testing hypothesis is critical to CPS work. PLCs should be exploring multiple pathways to solutions for problems they have identified. PLC members should be sharing their observational findings and generalizing to form hypothesis. The elements of ambiguity, flexibility, and what-if thinking combine as PLCs form initial hunches, take action, observe the results, consider cause and effect, and modify or change the hypothesis. My observation is that too often PLCs are in a hurry to “get work done.” I think school leaders need to consider how they encourage collaborative problem solving with a focus on creating comfort with ambiguity, what-if thinking and flexibility. Solutions generated by the PLC members are likely to have the greatest impact on their students and their own professional development.